To make the fuze "harder" in a mine is a tipical reaction to the antitank device being exploded by advancing infantry instead tanks, when you set it with more pressure you evidently dont want to "waste" you explosives in a running soldier and you definately target the vehicles instead. For the 47/32 I suggest you read the post on the site http://www.italie1935-45.com/ This site is part of our Italie 1935-45 Forum I will send you a picture while waiting in finding more. Is quite shoking to realize the italian never developed an infantry AT gun bigger/powerful that the Breda (Böhler design actually) after meeting heavy british armor like the Matida in a date early as december 1940. The problem my dear Panzerknaker that they were behind on all their programs, they had ideas but no achievement, as you may have read in other message, the Italian industry was definitely not ready to make war, the arrival of anti-tank guns during the conflict will, as usual too little, too late. When you study the history of Italy during the second world war as we do on the site Italy 1935-45, the first thing that hits you in the eyes and challenges you, that's why he is committed Mussolini in this war when a few weeks before the conflict began during a meeting with leading industrial countries, they said it was Mussolini that they would be ready for the year 1943, we see how little lucidity Mussolini had to enter the conflict. In this made most of the Italian troops were very poorly equipped, the annual defense was more than theoretical, for example, when Mussolini ordered the attack against France the general commanding the troops Alpine rushed to Rome to explain it to Mussolini n had had absolutely no equipment required for such a campaign, it does nothing disturbs Mussolini ordered him to do with. I hope not to be bored with this long "speech, but as soon as one speaks of Italy in the Second World War, one wonders what has piqued Mussolini to fly back in a war that was already lost before and those without forgetting the bravery of Italian soldiers. 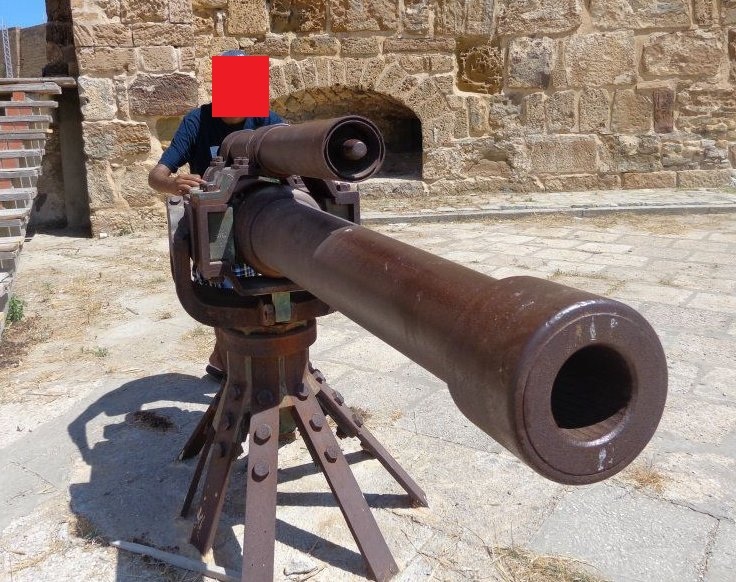 To continue on the topic of Italian anti-tank guns, the only piece really valid after some transformations at the muzzle brake In particular with the gun was 75 model 32, but it was produced only from 1941 and only 172 pieces were completed until the armistice of 1943. Well, seems good but again, those production numbers are plain ridiculous. I find some numbers of the 75/32 and the muzzle velocity was 540 mps, roughly similar to the german/french cannon Pak 97/38. While searching on Italian mines I came across a particularly interesting on this topic. I'll post the link. Does anyone know if these weapons were ever made for export, and if so, who got them? Hello Panzerknacker, it is not all made exact. The Italian possessed a piece the Canone da 90/53 that has been developed to the starting for the marine and like piece of DCA, but that they also used as piece anti Tank. He is has note that this cannon was superior to German 88mm, but as usual it was not produced in big quantity. The Italians supplied troops for the Russian front, to ease munition problems Italy re-barreled Cacarno rifles with 8mm barrels and made a copy of the German 30 mm rifled grenade launcher GewereGrenateGerat (Grenade Launching Equipment) I happen to haave one of these in my collection, the German grenades fit perfectly. Do you mean the rifles were re-chambered to 7.92mm and fired the same rounds as the Germans? Grenade discharger is it something like these? So I'm trying to find the make and model of a piece of artillery found at the Spanish Fort in Bizerte, Tunisia. Anyone familiar with it or could give me some primary sources to find it myself? Thanks for any help in this.